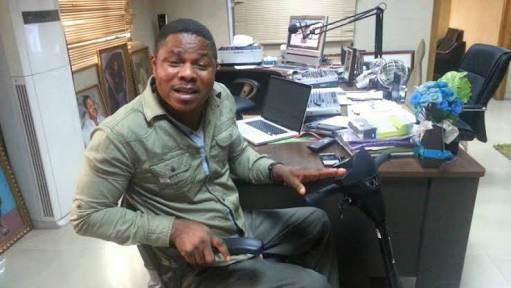 Yinka Ayefele, popular musician and Chief Executive Officer of a private radio station, Fresh FM 109.5 in Ibadan, Oyo State, has sued the state government for its planned demolition of his Music House, the building housing the radio station. The building is located on the Lagos-Ibadan by-pass in Challenge area of Ibadan. The government marked the building for demolition for allegedly contravening the state’s planning laws. But Ayefele, in a statement on Wednesday, said the demolition notice was a witch-hunt. He sued the government at a State High Court in Ibadan, seeking an order restraining the government from demolishing the property, pending the determination of the suit. In an ex parte motion, Ayefele’s lawyer Olayinka Bolanlen said due process was followed in the construction of the structure. He said approvals were obtained from the state’s relevant departments and agencies. Justice Iyabo Yerima ordered the claimant to ensure service of the court process on the respondent. The judge held that there were “serious issues to be determined” in the suit filed. She adjourned the matter till August 20 for hearing of the ex parte motion.